The above info came from Harris Maynard, and was edited by yours truly (contact me). 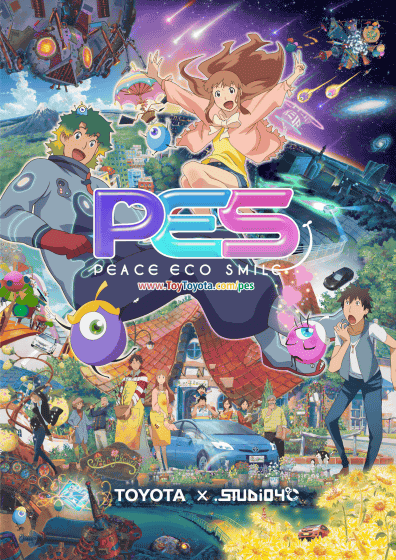 PES is the story of a man named PES, a space adventurer, who comes to earth with his companions the Na-Su-Bi, adorable one-eyed aliens, and becomes enamored with the things in life that make it so special. Taking place in the Tokyo Neighborhood of Kichijoji, PES and the Na-Su-Bi begin to immerse themselves in the concepts of love, kindness, and the things in life that we take for granted. Yuichiro Hayashi directed this extremely heart-warming and engaging story. Akiko Yajima, who is known for her work in "Crayon Shin Chan" is the voice of Na-Su-Bi. The music for each emotionally driven episode was contributed by a variety of talented artists, including HALFBY, Yuri Miyauchi, Hiroko Sebu, Seiichi Yamamoto, Yuya Matsumura (White White Sisters), Toe, and Spangle call Lilli line. The storylines use creative imagery and beautiful music to depict a small but warm world where people care about each other. The above description came from Harris Maynard, and was edited by yours truly (contact me).